What is a non-verbal learning disability? When we define “learning disabilities” we will often focus on difficulties students experience with reading, writing and spelling. However, current theories on learning disabilities recommend framing them as a group of disorders that can be separated into two categories, language-based and non-verbal. Language-based learning disabilities are the most common, often characterized by poor receptive and expressive language skills, processing skills and/or reading skills. Over the past few years, there has been an increase of research, understanding and insight into the diagnosis of non-verbal learning disability, known also as NVLD or NLD (Wikipedia, LDAO, NLDA.org, LDOnline, NYU School of Medicine, greatschools.org). Despite this, when children are diagnosed with this type of learning disability, parents have often never heard of it. NVLD is also the least recognized learning disability by professionals in schools. Some researchers suggest that is due to the fact that since reading ability is an indicator of academic success in our schools, children with NVLD (often effective decoders) pass under the “radar” until their later school years. What impact does NVLD have on academics? This learning disability is set apart by strengths in certain areas; students with NVLD are generally strong in language and auditory processing skills. However, it can sometimes be difficult to effectively reach students with NVLD, as areas of deficit and strength often overlap in specific academic areas. For example, these students are fluent readers but have difficulty reading for meaning and comprehension. They are good phonetic spellers, but are often lost when it comes to spelling sight words because of visual memory difficulties. 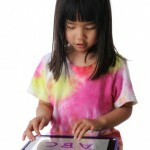 Students with NVLD can often understand the language and verbal reasoning concepts within a math problem, but have difficulty with computation and operations because of difficulties with sequential tasks and visual perception. Remediation for students with NVLD often targets specific areas of deficit, and later, teaches compensation skills for these deficits. There is excellent software that is available for specific academic difficulties. These range from tools to organize and structure writing for those with organizational difficulties; speech recognition software to bypass the deficits associated with dysgraphia; and math software to assist with visual-spatial difficulties. Social skills software, in the form of video-modeling, is also available. Reading programs that emphasize a balanced literacy approach allow for remediation opportunities in the area of reading comprehension. My First Puzzles, My First Puzzles-Snakes and My First Puzzles-Toys – These puzzles are a cross between traditional puzzles and a matching game. The student simply has to drag the puzzle piece over to the correct spot on the puzzle; 100% accuracy is not needed. On average 6 pieces per puzzle. Shapebuilder – Build puzzles to make an interactive object. A little bit more difficult as it is hard to tell what the object is before the final product is revealed. My First Tangrams – Tangrams are traditional square puzzles (Chinese in origin) that are divided into seven pieces, with the goal of forming a specific design. They are excellent for developing visual-spatial skills. Many of us grew up completing a paper or traditional puzzle version. The interactive version is 100% more engaging. These are simplified tangrams – no rotation is needed. 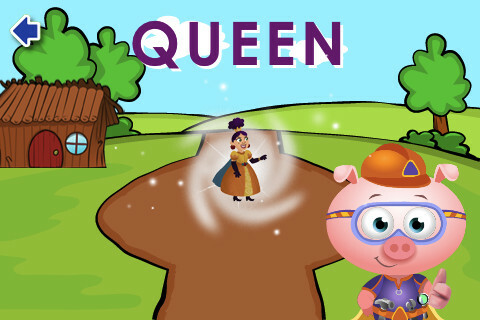 abc Pocketphonics – This phonics app has a writing component to it, in which students can trace the letter with their finger. Funny thing about this app; at first we didn’t like it because the letter tracing is only in cursive writing. Then, we thought it would be perfect for students with fine motor difficulties, who often find cursive writing easier because of the easy flow of the letters (less choppiness) and only one movement is necessary. iWriteWords – A great interactive app for younger students. Follow the “crab” to trace the letters, numbers or to form words. Added bonus: a tap along musical alphabet song. We like the very enthusiastic feedback for motivational purposes-“excellent!” and “very nice!” Light years ahead of tracing on paper. Alphabet Tracing – Another tracing app for learning how to form letters. This one has animations and you can add your own words and pictures. LetterForms – A tracing app that focuses on both print and cursive. Simple, but includes the sound of the letter at the same time, making it compatible as a component of multisensory reading methods like Orton-Gillingham. ABC Maze – A maze app that allows students to practice visual-spatial skills. Collect letters as you navigate the maze to form a word. Pattern Painter – We really like Pattern Painter from TickleTapApps for young students with visual motor, visual memory and visual spatial difficulties. Why? There is a nice progression to the activities. The app works on these areas by first focusing on patterning activities, with the use of shapes. Second step: the child watches and traces the shape being drawn. The final step is drawing it themselves. They do not have to draw the shape very accurately so it is a very “encouraging” app. While we’re talking about Pattern Painter, we might as well mention that we think all of the Tickle Tap Apps are just great for young children. Preschool Pattern Recognition Game – A good patterning game, a little higher level than Pattern Painter. It got the #3 spot for Top iPhone Apps for Kids for Math on Babble.com. Cookie Doodle – Have a young child or student that hates to draw or create because of lack of positive experiences? This is the app to get them to use their creativity, problem-solving, fine motor and spatial skills. Create a cookie from start-to-finish. The app gives the child a base to start with a variety of options to choose from (select your preferred cookie dough, mix the ingredients, shape, and toppings). Then practice your food staging skills and set the cookies on a plate and tablecloth-how refined. Now for the best part-“eating” the cookie. Highly creative app that hooks children instantly (and adults too). If they get tired of making cookies you can always check out Cake Doodle – same concept. Numerate-Count, Add and Subtract – Highly visual mathematics app that incorporates the three activities mentioned in the title. Same developer as LetterForms and we like the simplicity of the app. BugMath – This is a math game that made big news when it was released, apparently due to the fact that it uses the same math instructional methodology used in Singapore. Singapore is a world leader in math curriculum, using highly visual techniques and a focus on basic math skills (in the Top 3 in the Trends in International Mathematics and Science Study). There is a real “video game” feel to the app, but elementary students find it motivating and engaging. For students with NVLD there is a high amount of repetition used, and there are multiple activities to choose from (basic numeracy skills, computation and matching). Here is a review from AppModo. Jungle Time – Learn How to Tell Time – Telling time can be a difficult skill for some children. We like the “learn” section of this app which makes it more pedagogical in nature, by breaking down the information for the child. SUPER WHY! – This app for young elementary students focuses on several areas of literacy with 4 different activities. One of them focuses on reading comprehension, sometimes an area of difficulty for students with NVLD. Based on the PBS TV show that has been a great success in teaching children to read with a phonetic approach. There are many more apps that are wonderful for students with difficulties associated with a diagnosis of NVLD…so send us your feedback and additional app recommendations, we always appreciate it. An upcoming post will feature apps for adolescents with NVLD so stay tuned! My daughter is 15 and reads on a kindergarten level what I am looking for is a cell phone app to transfer voice to text so she can text her friends on her cell phone as well as her father and myself. She keeps sending texts consisting of random letters and her friends are blocking her since they can’t read any of her messages. If she could speak her text she could send her messages without anyone knowing the difference. I have a Droid X cell phone. It has a choice for ‘speaking’ texts. I would guess there are several phones that do this automatically. Perhaps you could call your wireless carrier and ask? What about apps for high school aged NLD kids? How a lot do your students know about Father’s Day?